Bob Carr has a decades-long record of opposition to a ‘big Australia’. It’s not new to find politicians claiming public opinion is on their side on contentious issues. So, we shouldn’t be surprised when former New South Wales premier and foreign minister Bob Carr – who has a decades-long record of opposition to a “big Australia” – says there has been a significant shift in public opinion on the topic. But we should politely ask for his sources. The first poll I’ve seen that indicates a big shift in public attitudes … came out in recent months. It shows 74% of Australians think there is enough of us already … I find that interesting. It’s the first breakthrough … in the last 12 months, the message has sunk in. It seems no-one – not least Q&A host Tony Jones – bothered to question the “big shift” nor the 74% figure in the subsequent discussion or media coverage. Where did it come from? It’s possible this finding came from a survey conducted in August 2017 for the Australian Population Research Institute. The survey employed a commercial panel, which yields a large number of respondents but is not a random sample of the population. Of those who were Australian voters, 54% indicated the number of immigrants “should be reduced”. The survey then went on to ask several additional questions – some of which were of the leading variety. From December 2005 to December 2016 Australia’s population grew from 20.5 million to 24.4 million; 62% of this growth was from net overseas migration. Do you think Australia needs more people? With this wording, the proportion with a negative view of immigration (that is, Australia does not need more people) jumped to 74%. This is a clear indication of the impact of question wording and context. What do you think of the number of immigrants accepted into Australia? It found just 37% considered the intake to be “too high”, 40% “about right”, and 16% “too low”. The proportion concerned by the level of immigration is within one percentage point of the average of ten years of Scanlon Foundation surveying. With attention narrowed to respondents who are Australian citizens (and have voting rights), there is little difference in the result. An issue in surveying is the impact of interviewer administration. Some argue that self-administered surveys, completed online, are more reliable. To test the impact of the mode of surveying, a set of questions was administered in a second Scanlon Foundation survey using the Life in Australia panel. The large majority of these respondents complete the survey online, without interviewer assistance, and the panel was formed using a probability process to reflect the Australian population. The finding was almost identical with the result obtained in the first Scanlon Foundation survey: a minority – 40% – considered the intake to be “too high”. There have been several other probability-based surveys on attitudes to immigration in 2016 and 2017, including the Australian Election Study conducted by researchers at the Australian National University, a Morgan survey, and the annual Lowy Institute Poll. None of these surveys obtained a majority agreeing that immigration is “too high”, much less concern at the level of 74%. The 2017 Lowy Institute Poll found 40% favour reduction. Most surveys are consistent in finding there is a substantial minority of the view that immigration is too high, but not a large majority, as Carr claimed. In evaluating survey findings, attention needs to be directed to sampling procedure (whether random or not), the question asked, the context of the question, and the record of all relevant surveys – not just one survey. There is one additional issue of note: public controversy and claims made about the impact of immigration can shift opinion in a short time. In 2010, in the context of political campaigning focused on immigration and “big Australia”, the Scanlon Foundation survey recorded a shift of ten percentage points in the level of concern about immigration. Many people in culturally diverse populations in Western Sydney have lived in Australia for many years, if not several generations. Our national wellbeing probably peaked with Australia’s population at roughly 15 million in the 1970s, when this photo was taken in Hunters Hill, Sydney. Neither of Australia’s two main political parties believes population is an issue worth discussion, and neither currently has a policy about it. The Greens think population is an issue, but can’t come at actually suggesting a target. Even those who acknowledge that numbers are relevant are often quick to say that it’s our consumption patterns, and not our population size, that really matter when we talk about environmental impact. But common sense, not to mention the laws of physics, says that size and scale matter, especially on a finite planet. In the meantime the nation has a bipartisan default population policy, which is one of rapid growth. This is in response to the demands of what is effectively a coalition of major corporate players and lobby groups. Solid neoliberals all, they see all growth as good, especially for their bottom line. They include the banks and financial sector, real estate developers, the housing industry, major retailers, the media and other major players for whom an endless increase in customers is possible and profitable. However, Australians stubbornly continue to have small families. The endless growth coalition responds by demanding the government import hundreds of thousands of new consumers annually, otherwise known as the migration intake. The growth coalition has no real interest in the cumulative social or environmental downside effects of this growth, nor the actual welfare of the immigrants. They fully expect to capture the profit of this growth program, while the disadvantages, such as traffic congestion, rising house prices and government revenue diverted for infrastructure catch-up, are all socialised – that is, the taxpayer pays. The leaders of this well-heeled group are well insulated personally from the downsides of growth that the rest of us deal with daily. Economic growth will be supported by sound policies that support productivity, participation and population — the ‘3Ps’. If one defines “economic growth” in the first place by saying that’s what happens when you have more and more people consuming, then obviously more and more people produce growth. The fact that GDP, our main measure of growth, might be an utterly inadequate and inappropriate yardstick for our times remains a kooky idea to most economists, both in business and government. One of the oldest and best-researched alternative measures is the Genuine Progress Indicator (GPI). Based on the work of the American economist Herman Daly in the 1970s and ’80s, GPI takes into account different measures of human wellbeing, grouped into economic, environmental and social categories. Examples on the negative side of the ledger include income inequality, CO2 emissions, water pollution, loss of biodiversity and the misery of car accidents. On the positive side, and also left out of GDP, are the value of household work, parenting, unpaid child and aged care, volunteer work, the quality of education, the value of consumer goods lasting longer, and so on. The overall GPI measure, expressed in dollars, takes 26 such factors into account. Since it is grounded in the real world and our real experience, GPI is a better indicator than GDP of how satisfactory we find our daily lives, of our level of contentment, and of our general level of wellbeing. As it happens, there is quite good data on GPI going back decades for some countries. While global GDP (and GDP per capita) continued to grow strongly after the second world war, and continues today, global GPI basically stalled in 1970 and has barely improved since. In Australia the stall point appears to be about 1974. GPI is now lower than for any period since the early 1960s. That is, our wellbeing, if we accept that GPI is a fair measure of the things that make life most worthwhile, has been going backwards for decades. What has all the growth been for? It is reasonable to ask, therefore, what exactly has been the point of the huge growth in GDP and population in Australia since that time if our level of wellbeing has declined. What is an economy for, if not to improve our wellbeing? Why exactly have we done so much damage to our water resources, soil, the liveability of our cities and to the other species with which we share this continent if we haven’t really improved our lives by doing it? As alluded to earlier, the answer lies to a large extent in the disastrous neoliberal experiment foisted upon us. Yet many Australians understand that it is entirely valid to measure the success of our society by the wellbeing of its citizens and its careful husbandry of natural capital. 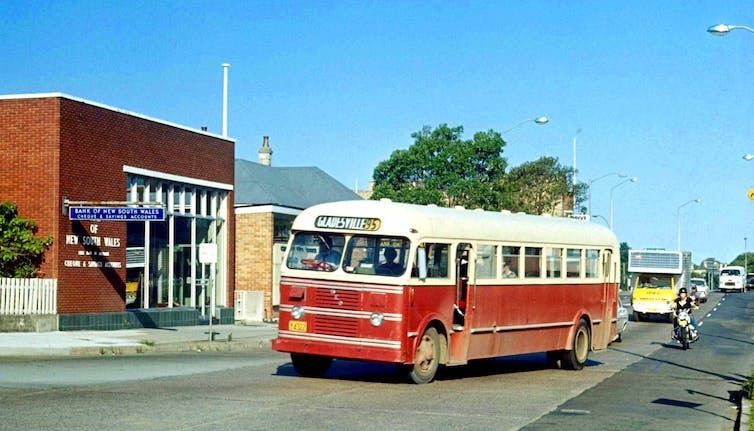 At the peak of GPI in Australia in the mid-1970s our population was under 15 million. Here then, perhaps, is a sensible, optimal population size for Australia operating under the current economic system, since any larger number simply fails to deliver a net benefit to most citizens. It suggests that we have just had 40 years of unnecessary, ideologically-driven growth at an immense and unjustifiable cost to our natural and social capital. In addition, all indications are that this path is unsustainable. With Australian female fertility sitting well below replacement level, we can achieve a slow and natural return to a lower population of our choice without any drastic or coercive policies. This can be done simply by winding back the large and expensive program of importing consumers to generate GDP growth – currently around 200,000 people per year and forecast to increase to almost 250,000 by 2020. Despite endless political and media obfuscation, this is an entirely different issue from assisting refugees, with whom we can afford to be much more generous. Despite expert recommendations to adopt a population policy, Australian governments continue to resist. 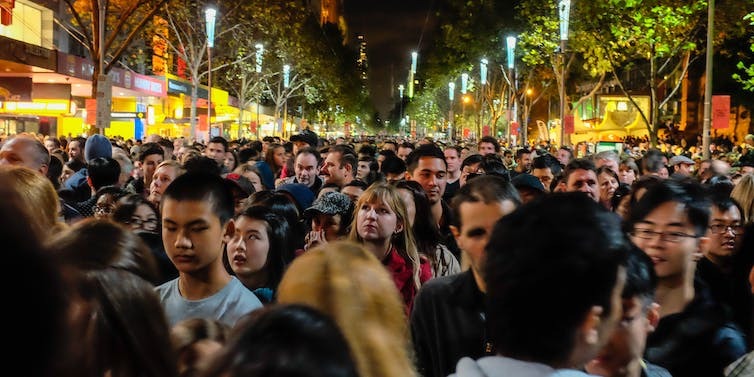 Population growth has profound impacts on Australian life, and sorting myths from facts can be difficult. This is the first article in our series, Is Australia Full?, which aims to help inform a wide-ranging and often emotive debate. Australia lacks an overarching population policy or strategy. Over the years, multiple inquiries have recommended such a policy. Population policies the world over typically focus on births and migration. As part of post-war reconstruction, Australia adopted a 2% population growth target. Mass immigration was a defining feature, and couples were called on to populate or perish. Immigration was successful, but women were big losers in the push for births. The 1975 National Population Inquiry proved a significant moment in Australian demography. The inquiry found that Australia should not seek to influence population, but should anticipate and respond. Population policy was revisited in the 1990s with the National Population Council. Its 1994 report found no optimal population size for Australia, but again called for a responsive population policy of preparedness. Interest in sustainable population policy was renewed in 2010 following Kevin Rudd’s infamous endorsement of a “big Australia”. We even had a minister for population, Tony Burke, for about six months until the portfolio was expanded. Population was subsequently dropped from any ministerial title. After an exhaustive inquiry, A Sustainable Population Strategy for Australia was released in 2011. This stopped short of recommending a population policy but removed any option of population limits. Change felt possible in shifting the narrative to a proactive endeavour concerning population matters, particularly evident in the National Urban Policy. Despite such inquiries and recommendations to adopt a population policy, governments have so far resisted. Unsuccessful attempts at population policy can be understood in terms of difficulties in gaining political support and concerns about coercion. But national population policy need not be coercive – unlike, for example, in India or China. Instead, it can be a series of targets and connected policy domains with oversight. Presently, the policy landscape is disjointed. Parenting leave, family and childcare payments, and immigration are each somewhat responsive to population changes, but not prepared. Family payments have been shown not to increase birth rates. The intergenerational reports have been our only glimpse of responsiveness and preparedness. But these have increasingly been criticised for their political tone. Who could forget the Challenge of Change campaign? Dr Karl Kruszelnicki fronted the Challenge of Change campaign. What we know is that Australia’s population continues to age, so among the nation’s pressing issues is fewer taxpayers. The total age-related dependency ratio, of people aged over and under working age relative to the working-aged population, was 52 per 100 people in 2016. While the child-dependency rate (0-14 year olds) is higher than the aged-dependency rate (people 65 and over), the rate of people aged less than 15 has steadily declined as the population aged 65 and over has driven increases in the so-called dependency burden. The relative increase in people older than working age is increasing pressure on the economy and government budgets. While government spending on young people is substantial, the highest per person spending is among people aged 65 and over. A robust workforce contributing income tax and services is essential to ensure current lifestyles are afforded to the young while also sustaining the public spending necessary for people over 65 years who have over their lives contributed to the nation. With birth rates low and deaths increasing, natural increase is no longer driving Australia’s population. Immigration is increasingly relied on to offset the ageing of the workforce. Over half (54%) of Australia’s population growth is from net overseas migration. In a 2013 United Nations survey, the Australian government reported concerns about population ageing, a desire to increase the “too low” birth rate, but satisfaction with the level of net overseas migration. Interestingly, a preference for migration away from cities was also cited. From current policy and discourse, you would not know these views were held. Most Australians also report a preference for the level of immigration to remain the same or be increased, contrary to sentiments we often hear. Australia has time to prepare for, and make opportunities of, the challenges of an ageing population. Some countries are facing tough decisions now and it is interesting to watch the politics play out. What Japan, China and Germany show is that we need to take action now. Insightful guides are in place already. South Australia has had a population strategy since 2004. Tasmania recently adopted one. These state strategies focus on growth to curb economic downturn. What is important in these two cases is that both emphasise policy portfolio linkages, as well as evidence and reporting against targets without coercive measures. 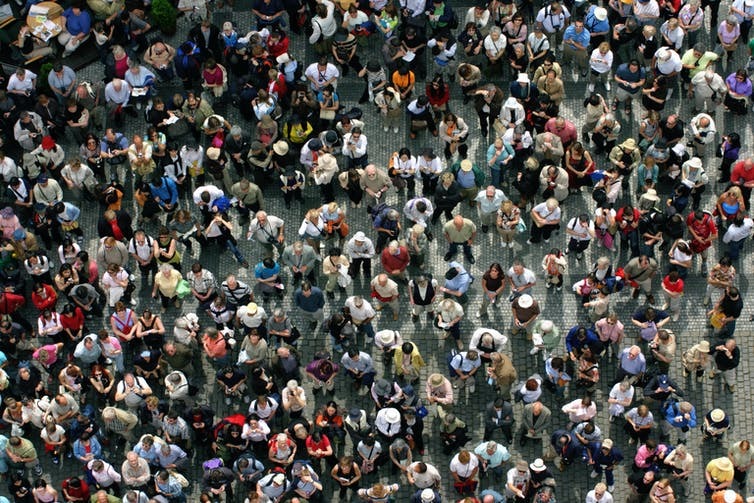 What is a sensible approach to population policy? Australia has the potential to be a global leader in innovative markets and research and development. An ageing population provides an interesting market opening; we just need to be smart about it. Without careful consideration, Australia will be merely a bystander in the increasingly competitive global market. Policy connectedness should exist between portfolios. These include: health; housing; education, skills and training; employment; infrastructure; regional development; water and energy; environment; and migrant settlement. We can invest more effectively in young people – our future workforce and economic lifeblood – if we consider a life-course approach to population dynamics. Family friendly, gender-equal workplaces will go a long way to ease the pressures of having children. Integral to this is affordable and accessible child care. And establishing a ministerial portfolio overseeing population strategy would be a good start. This piece is part of our new Three Charts series, in which we aim to highlight interesting trends in three simple charts. At around 1.5%, Australia’s current population growth rate is above the world rate of about 1.2%, and among the highest in the OECD. Net international migration comprised about 55% of Australia’s population growth in 2015-16. Natural increase – that’s births minus deaths – makes up the rest. Data from the Australian Bureau of Statistics show that, since about 2013, Victoria’s population growth rate has risen to become the highest of all the states and territories in Australia. Western Australia was previously the fastest-growing state but its population growth rate has fallen sharply (by about 70% since 2011-12), likely driven by the demise of the mining boom. Queensland’s growth has declined more gradually. Victoria’s higher population growth rate is due to it having the highest per capita rate of net international migration of all the states and territories and the largest net in-movement from elsewhere in Australia. The most important reason for Victoria’s higher rate of net international migration was its higher per capita inflow of international students. Victoria also gained more people due to permanent migration. After 2012, the net movement of New Zealand citizens to Australia fell rapidly (by 83% in two years). Due to its fall in numbers being shallower, Victoria replaced Queensland as the state receiving the largest net inflow of New Zealand citizens. About 68% of the precipitous drop in Western Australia’s population growth rate since 2011-12 is because international migration to that state has fallen away. Previously, more people moved to Western Australia from the other states than in the other direction. Now, that trend has reversed. Decreased net international migration also explains most of the decrease in Queensland’s growth rate over this period. In recent years, Australia’s population has become increasingly concentrated in its largest cities, and several big cities are growing at well above the average Australian population growth rate. Melbourne is Australia’s most rapidly growing city, a title it wrested from Perth around 2013-14. Sydney’s population, which the ABS says recently reached 5 million, is also growing at above the national average rate. Net in-migration (people moving to Sydney) is the major component of Sydney’s population growth, as opposed to natural increase (births minus deaths). Brisbane’s growth has slowed but remains above the national average. In contrast, many already sparsely settled areas in inland Australia are experiencing population decline. About 28.5% of Australia’s population was born overseas. People born in the United Kingdom are still the biggest group of overseas-born residents, making up 5% of Australia’s population. That picture is changing, however, as chart 1.2 from the ABS shows here. The share of UK-born residents in Australia is declining, and the proportion of people born in New Zealand has grown over the last decade. Over the same period, the share of China-born residents has increased, and that’s also true for India-born residents. Australia’s India-born resident population remain predominantly male (119 males per 100 females in 2016), although not as heavily so as previously. In contrast to China’s male-dominated population back home, among the China-born residents in Australia females are increasingly outnumbering males (just 80 males per 100 females in 2016).